The unfinished surface of wooden train tracks makes an excellent canvas for all kinds of creativity! 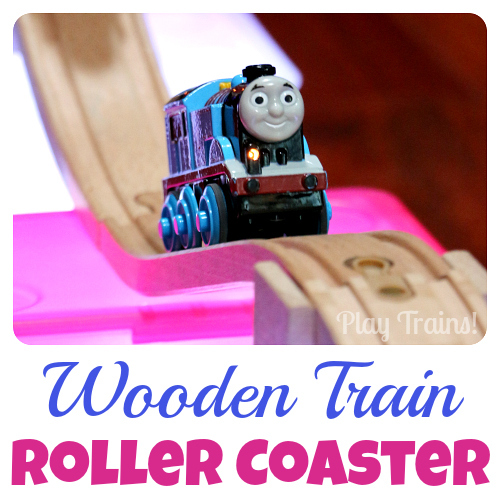 And ever since I found a new source for unpainted wooden train cars, I’ve been working on a number of different DIY train sets to share with you. 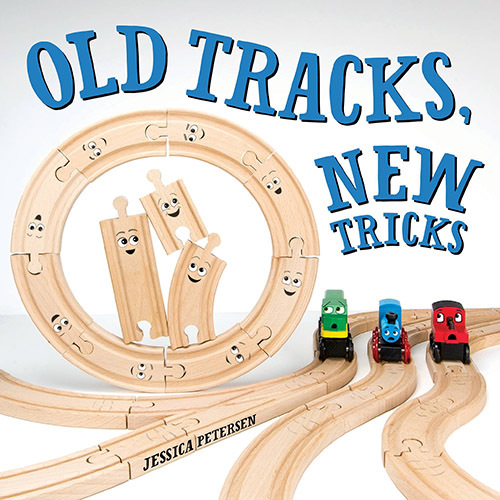 This first one is the one I’m most excited to share with you, both because the dyed wooden trains and tracks turned out so vibrantly gorgeous, and because the project was inspired by 150+ Screen-Free Activities for Kids, a book by a brilliant and talented friend, Asia Citro. 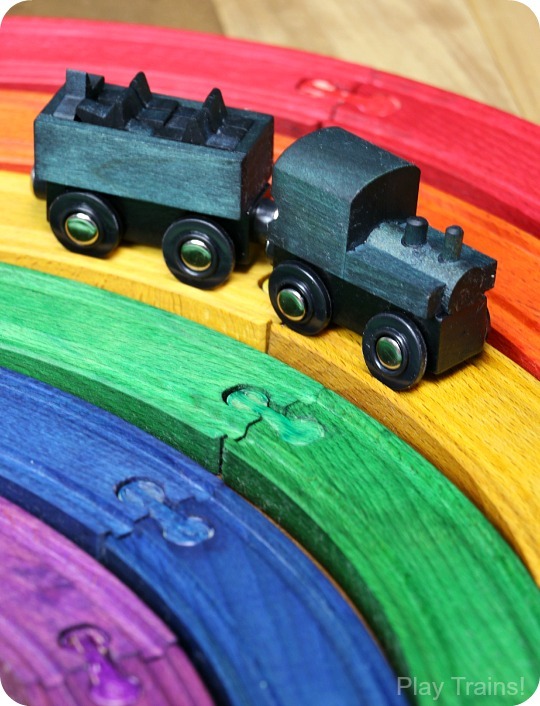 Even better, this rainbow train set can be used to act out one of our favorite train books, Freight Train by Donald Crews. 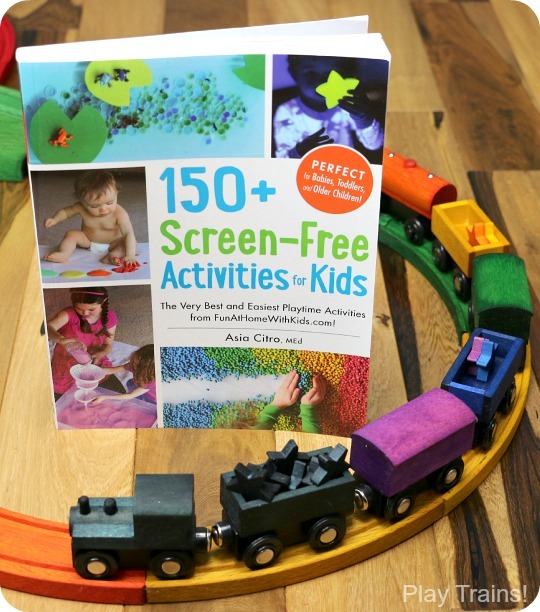 I received a copy of 150+ Screen-Free Activities for Kids courtesy of the publisher, with the expectation of an honest review of the product. This post contains links to Amazon.com, Amazon.co.uk, and Amazon.ca. If you click on one, we will receive a small commission — at no additional cost to you — on anything you buy at Amazon for a certain length of time afterwards. Read our disclosure policy for more details. 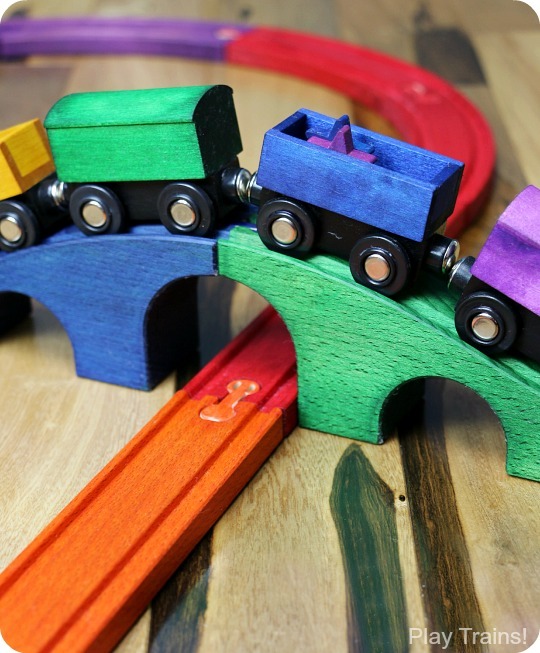 From the moment I flipped through 150+ Screen-Free Activities for Kids, I knew exactly which project I wanted to put the train twist on: Dyed Wooden Building Blocks. 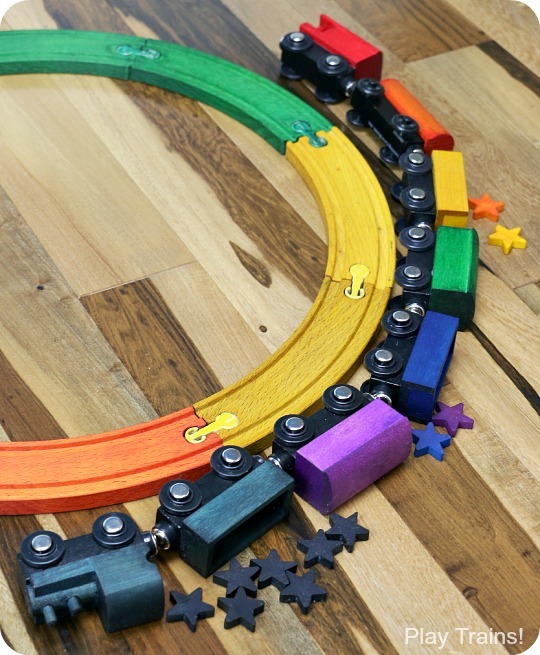 With their jewel-like colors soaked deep into the wood grain, the blocks look so lovely I think most adults would have a hard time resisting the urge to build with them. Also, I appreciated that the dye was non-toxic, and the procedure sounded super easy considering the final result. 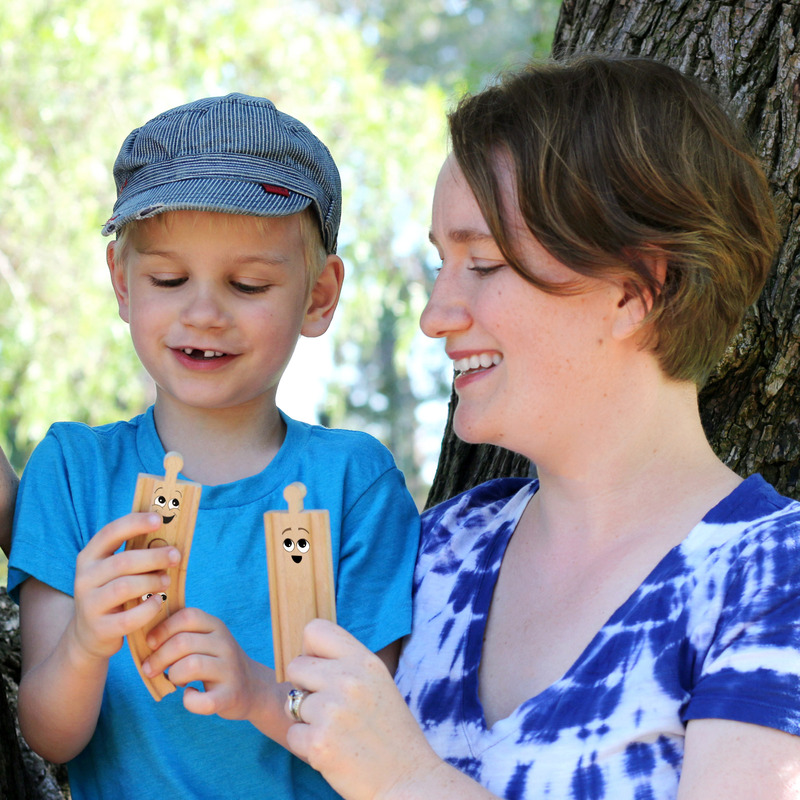 But, of course, I wasn’t going to dye blocks for this review — not when I had train tracks and unfinished wooden trains! While the unfinished Thomas & Friends tanker cars and box car/passenger cars are now sadly unavailable, last summer I discovered that Orbrium Toys was now making a set of four unfinished train cars. 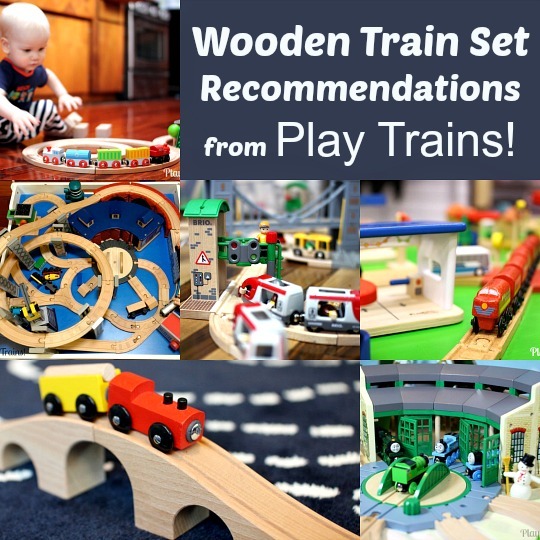 Each set includes an engine, a gondola car, a box car, and a caboose. 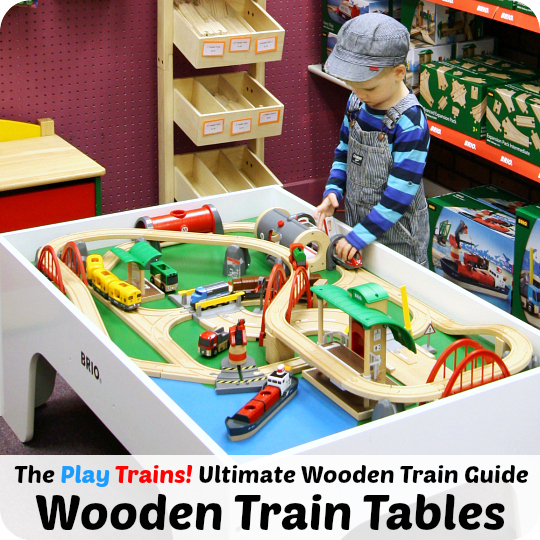 Update: I’ve discovered that Whittle Shortline sells unfinished wooden train cars, including a tanker car! They’re quite a bit more expensive than the Orbrium unpainted train cars, but Whittle Shortline trains are handcrafted in the United States, and the cars look very nice. I’m hoping to get my hands on some to try out soon! 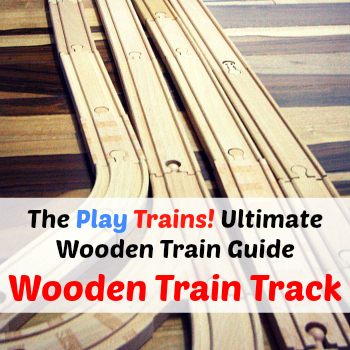 As for the track, I used the tracks from a wooden train set from IKEA. This was a thrifty option, but not ideal. First, IKEA trains are pretty much the only trains that fit under the bridge (without tinkering). Second, I forgot that the plastic connectors wouldn’t take the dye. I colored them with Sharpies in colors that sort of matched the tracks, but it doesn’t look like the Sharpie will last for long. So I recommend ordering a bulk box of track to dye. 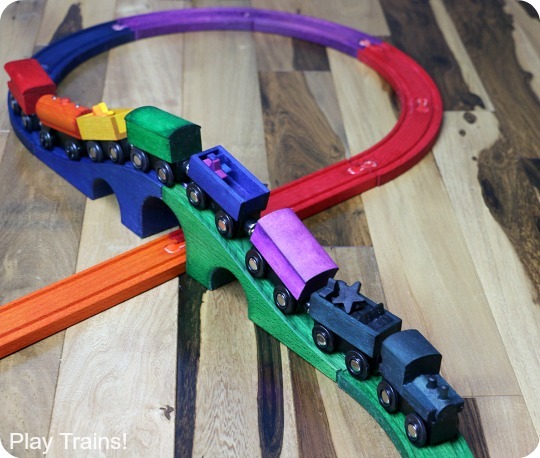 Right now, the Conductor Carl train sets and track packs look like the best option, because their tracks are constructed as a single wooden piece (no plastic connectors! ), and so far I’m really liking the quality of the 56-pack of track of theirs I recently bought. 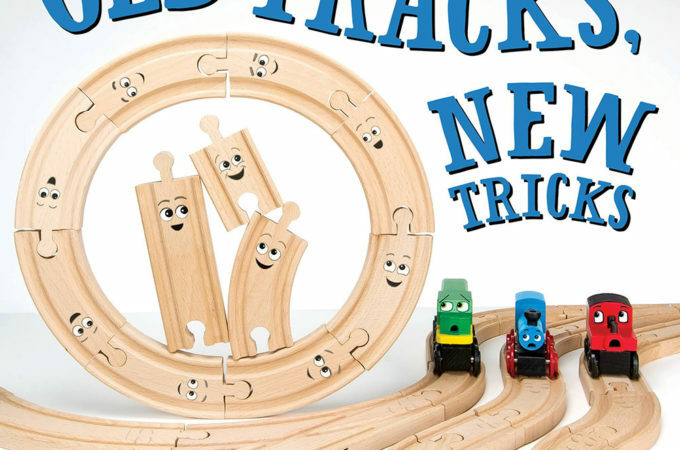 They sell a similar figure eight train set to the one I used here, or you could opt for the 100-piece pack of bulk wooden train track (which includes short and long straight and curved track) or the 56-pack of bulk track (which also includes split tracks and male-male and female-female adapter tracks). In addition to the trains and tracks, I dyed some rounded wooden stars black to be coal and some in colors to be freight. 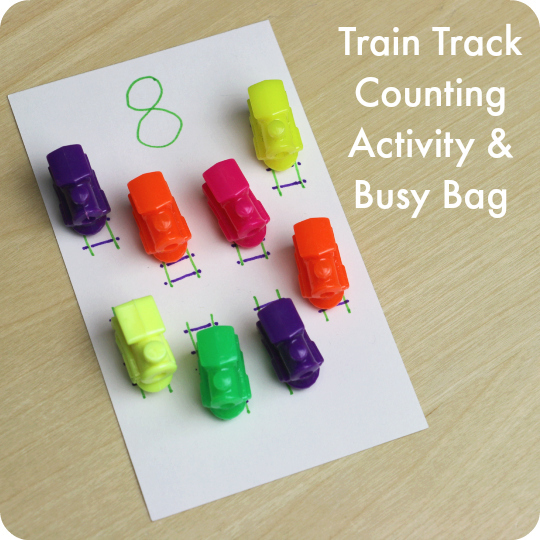 (I need to dye more of the colorful ones, so that we can use them as counters for train math games.) Because of the stars’ size, you wouldn’t want to include them in train sets for children who might put things in their mouths. Dyeing the trains and track was amazingly quick and easy thanks to the instructions in the book. In addition to the method in those instructions, I recommend having a pipette and/or a paintbrush to get the dye into all the details of the train and track. The nice thing about the beeswax polish is that once I’d rubbed it in and wiped away the excess, the train set was ready to play with. No waiting for a clear coat finish to dry, and they feel wonderful to the touch. The beeswax polish deepened the colors and brought out the wood grain even more. 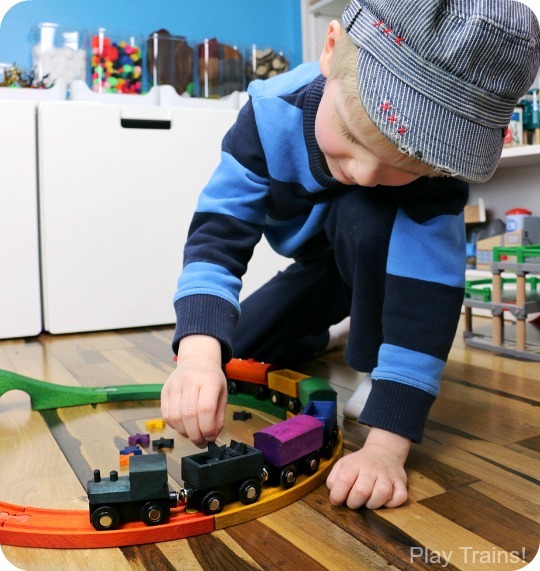 I’d also like to note that children could definitely help with both dyeing and polishing the trains and tracks. Just make sure they’re wearing clothes that can get messy. My son’s favorite part about the set — aside from the tantalizing COLORS — were the dyed stars. 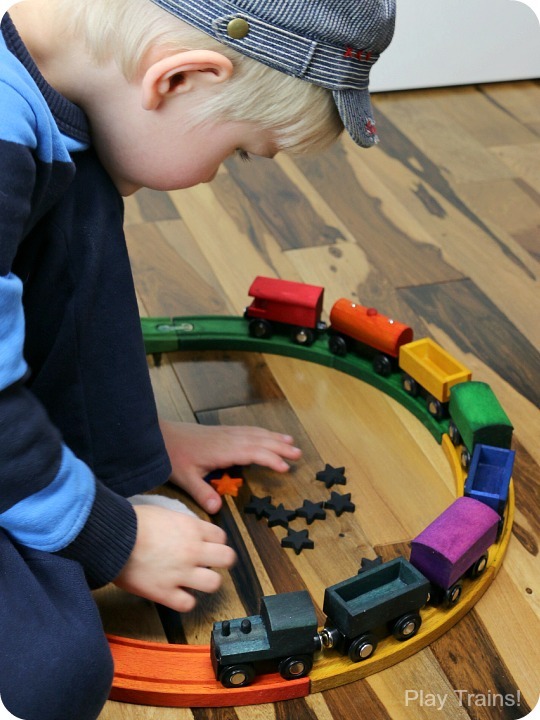 He enjoys taking them out to arrange them and putting them back in the train cars. And then crashing the whole train to spill stars on the floor! I’ve never seen such a beautiful train wreck. 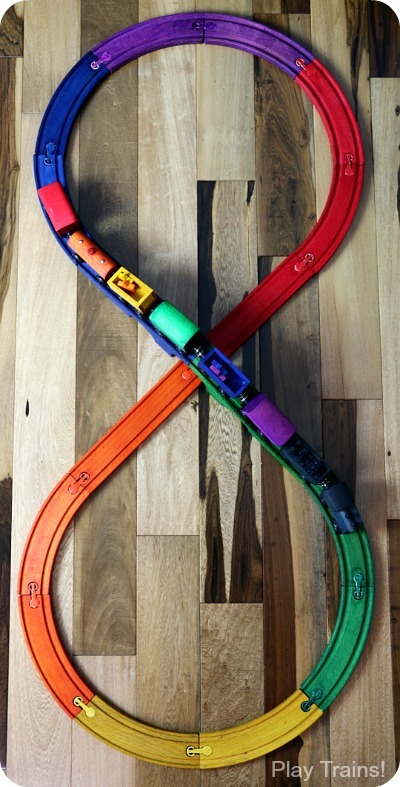 There are so many possibilities for playing with dyed trains and tracks: learning colors, matching colors, building patterns, storytelling, pretending the different tracks are different types of terrain or have different properties (the kiddo gave me that idea!). 150+ Screen-Free Activities for Kids is an amazing resource for activities to do with any kid — from babies to toddlers to preschoolers and school-aged kids. There are chapters on slimes, doughs, paints, small worlds, simple sensory activities, and DIY toys. The variety of the play recipes in each category is astounding, and I love how taste-safe and gluten free recipes are clearly marked. One of my favorite things is that the beautiful photography in the book entices both parents and children, in the same way that flipping through a cookbook with gorgeous photos can lure me into getting up out of my chair and into the kitchen to cook. When my son saw the book for the first time, he immediately insisted on getting to look through the whole thing and ask a million questions about what each activity was. Now, he uses it as a sort of visual “play menu” — flipping through it and finding an activity he wants to try. This book also would make a great gift. I’m planning to bring it to every baby shower I attend in the future, because it would be so handy during the older baby and toddler stages and continue to be useful for years to come after that. I really wish I’d had a copy of this book when I when my son was just starting to explore the world as a baby. You know…that stage where you realize you have no idea what to do with the little human you’re spending your days with! It’s so beautiful! I’m a color lover and the colors turned out lovely and rich looking. Thanks, Natasha! I was so excited about how well the colors worked!